The “Ber” months is already here and the cold season is approaching. And who can resist this Pinoy favorite wanton mami that is piping hot.. 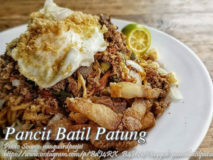 I can say that pancit is one of the most popular noodle dish for Pinoys because there are many version of this stir-fried noodles depending..
Bacsilog is a short cut term for bacon, sinangag (fried rice) at itlog (eggs or fried eggs). 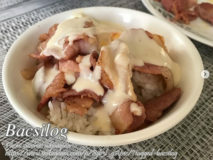 Sometimes it is also called baconsilog. This is.. 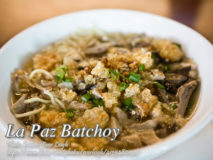 This noodle dish is one of the popular Filipino soup dish which originated in La Paz, Iloilo City. 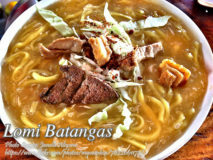 The dish is similar to chicken mami..
A Batangas version of your favorite lomi where there are no veggies or if there is any, it is only used as garnishing. This is..